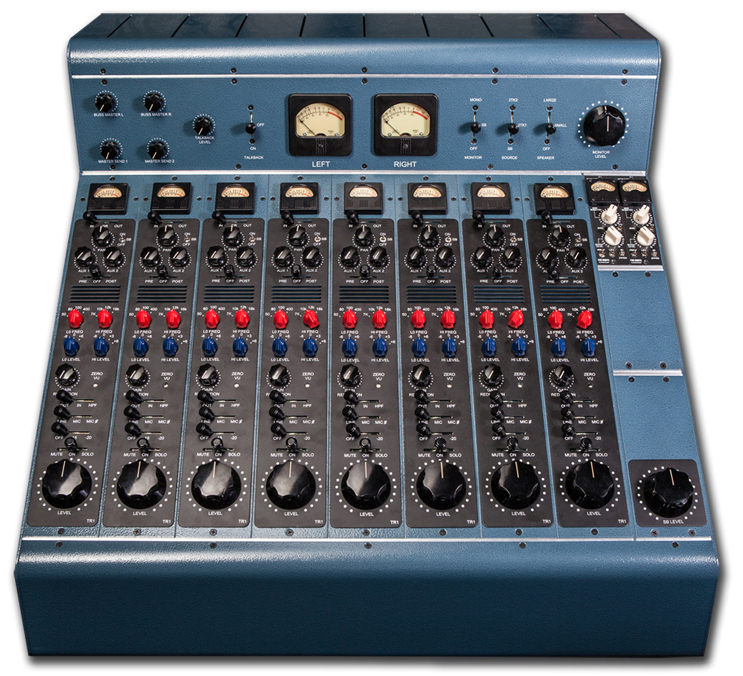 I like the retro look of Tree Audio's-The Roots console and hope I can demo it soon. It received rave reviews at the recent AES Convention. I can see using it to record live instruments such as drums, bass, guitars and even synths. I'm also curious to see how well the built-in Mic Pres handle vocal recordings. I wonder how well it would handle summing for my DAW? If it sounds anything like how it looks I don't think I will be disappointed. 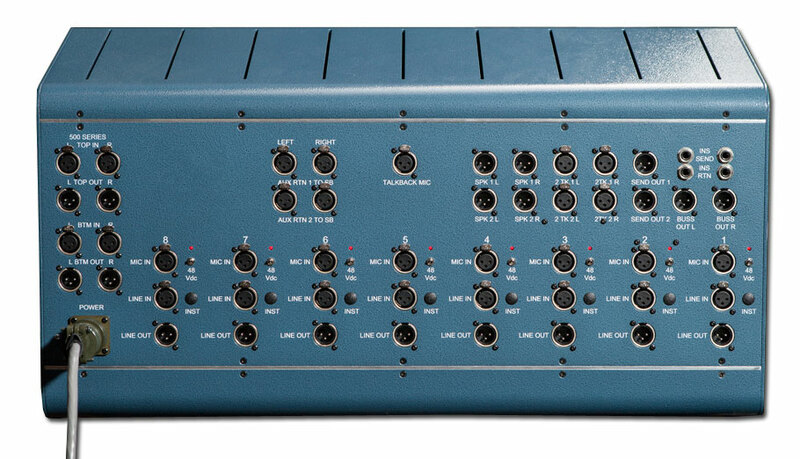 Plus it has 4 available slots for 500 series modules built right into the Master section. Note the built in Limiter with selectable 250hz HPF filter and the channel's meter can be set to read input level, output or gain reduction. (Hmmm... I wonder how drums would sound with the limiter pot turned to say....3 o'clock?). 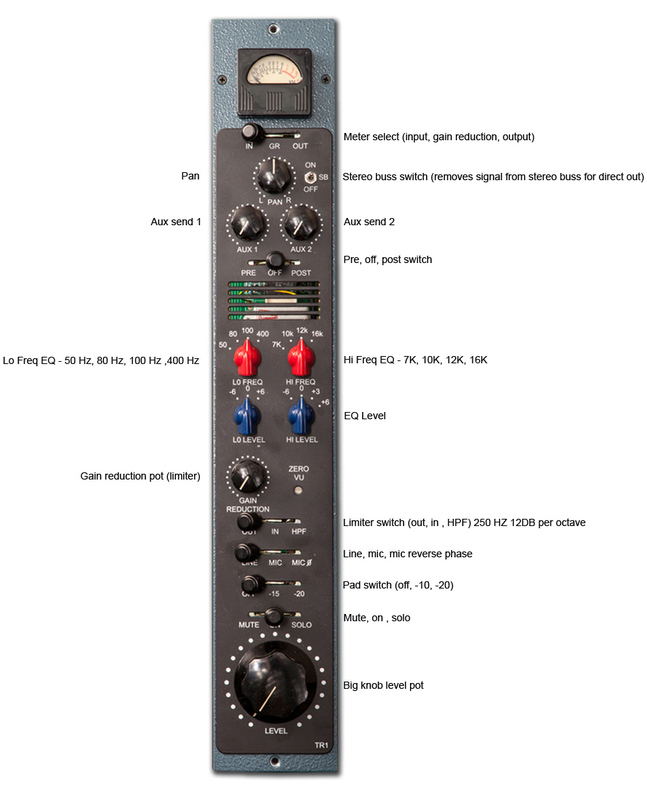 Some may be put off by the non-variable equalizer frequencies and level controls but if you've ever used a Neve 1073 or Pultec EQP-1A you know that units with fixed frequency points can actually be quite musical in nature and are usually more appropriate for broad strokes than sonic surgery. Notice the multitude of connectors available including those for your 500 series modules(upper left). There are also connectors for 2 pairs of speakers and 2 stereo Aux returns that go straight to the stereo buss. The Roots console is available in 8 or 16 Channel configurations. For more info and any questions on pricing and availability visit Tree Audio's website.